Excellent woodcraft tool. Carry one in the camp or in the workshop to fashion and shape wood. Uses excellent High Carbon steel, hardened to 58HRC. 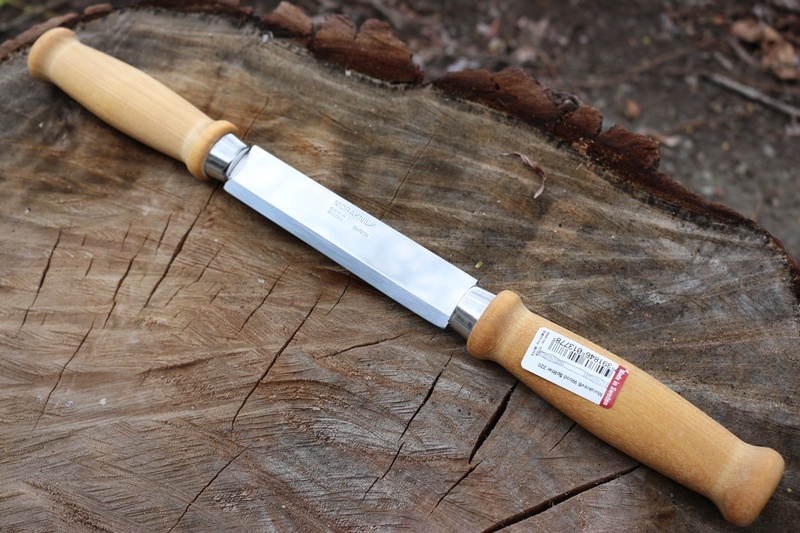 Has a double bevel (scandi style) edge and oiled birch handles.Once you get the hang of these, you'll see why they were a feature of the woodsman tool kit for thousands of years. You can split, shape,notch, cut and scrape with one of these and all with the comfort, power and control of two hands. Erik Frost woodcarving splitting knife – oiled birchwood handle. HC steel blade. Blade length 106 mm. 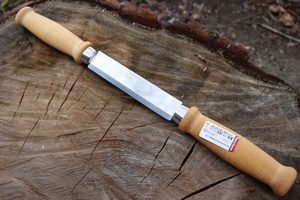 Purchase through PayPal by using the "Add To Cart" button above or use the form below to order the Mora of Sweden Draw Knife Splitter . 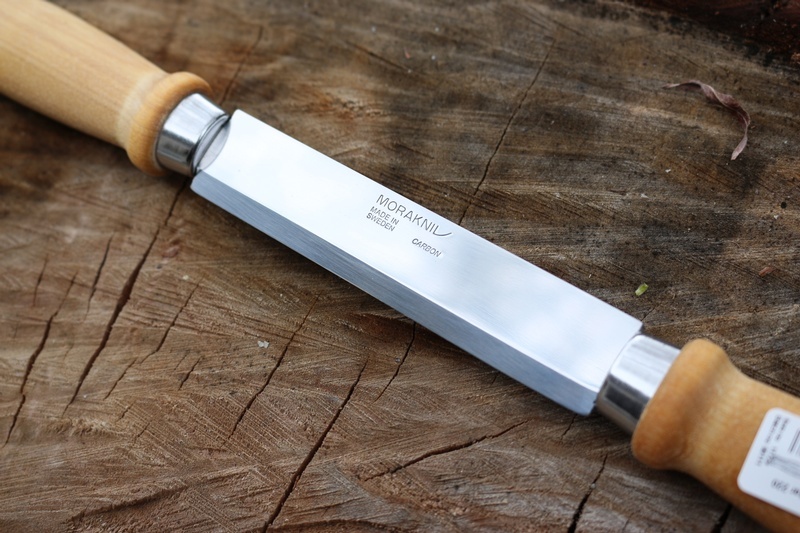 Feel free to contact us if you have any questions about the Mora of Sweden Draw Knife Splitter .